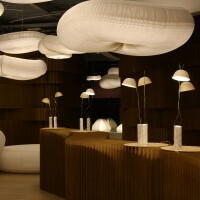 molo design, a collaborative design and production studio from Vancouver, Canada, have setup their exhibit for this year’s design week in Milan at Superstudio Piú in in Zona Tortona. 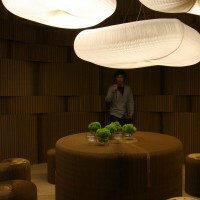 A series of natural brown paper caves, “grotta di carta”, have been constructed from stacked columns of flexible paper blocks. 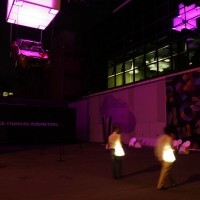 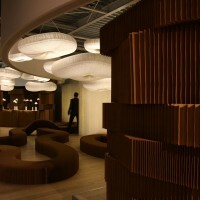 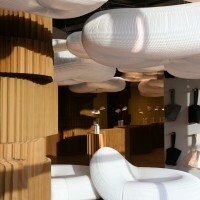 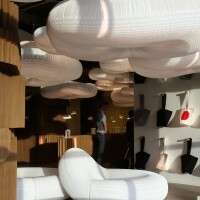 Mobile-like clusters of luminous paper clouds are suspended overhead. 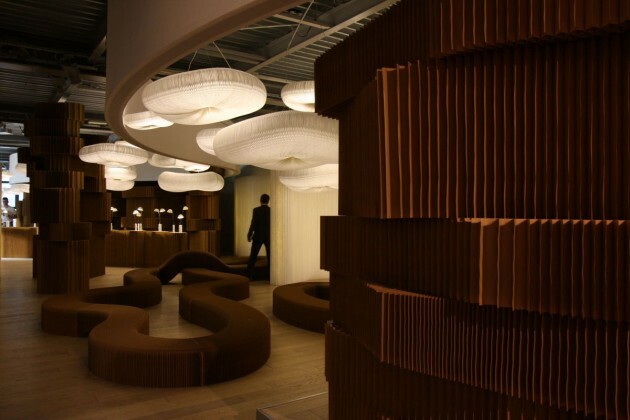 The new mobile structure allows a broad canopy of cloud forms, hung from a single point, to provide light and a sense of intimate enclosure. 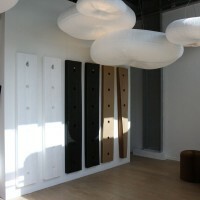 We are also showing urchin softlight with a new LED armature that will be available in the coming months. 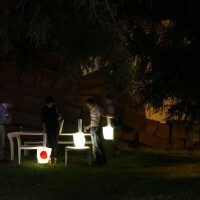 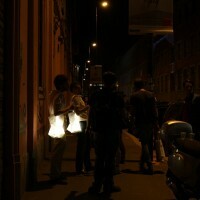 We also have available “heartfelt lantern for Japan”. 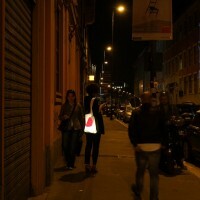 The numbered, limited edition lantern is $150 USD (110 €) with full proceeds being donated to Architecture for Humanity’s relief efforts in Japan. 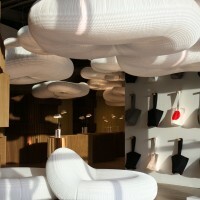 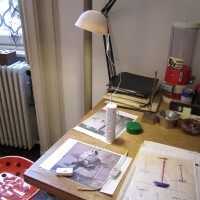 molo’s cappello lamp was installed yesterday at the Studio Museum Achille Castiglioni! 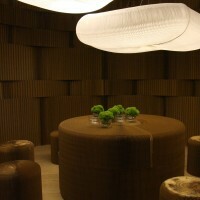 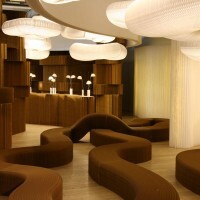 molo’s float glassware used in the film TRON: Legacy is part of the TRON Designs Corian® exhibition. 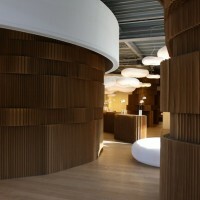 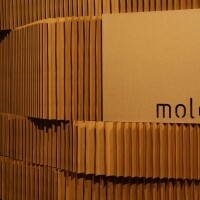 Visit the molo design website – here.